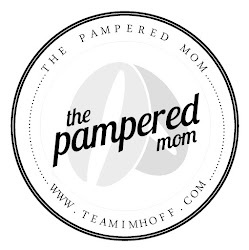 The Pampered Mom: Small Updates ... Big Difference! Small Updates ... Big Difference! We're still hard at work to make the house what we envisioned. It seems like the past few days we have been working on some smaller projects. 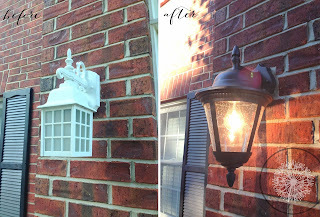 They may be small, but they are making a big impact on the house. Since we moved into the house, we realized the past owners did not use a water softener. 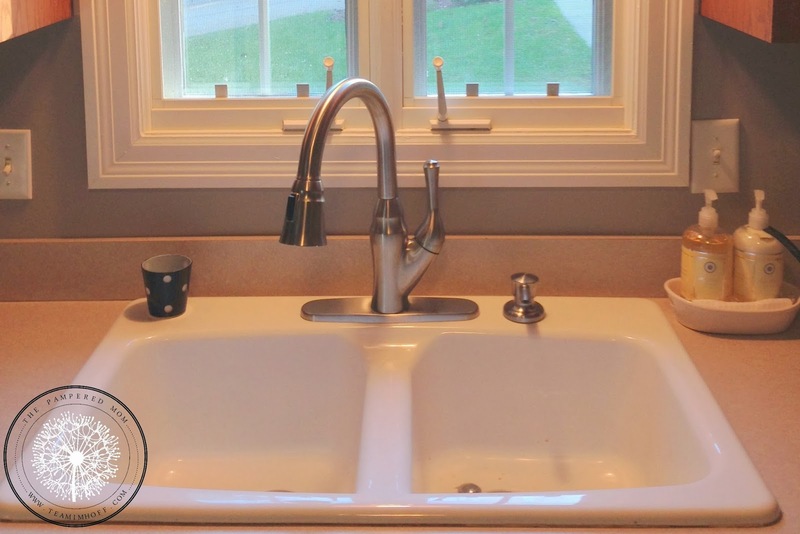 We have EXTREMELY hard water, therefore, we bought and installed our own. Only to find out that it began to dislodge buildup from inside our pipes, ruining some of our faucets, water heater and softener. Basically a lot of unplanned cost. We were able to replace most everything, but what really surprised me was how I felt about our old water faucet in the kitchen. It wasn't pretty, it was supposed to be white, but was off-white from discoloration. It did the job, was wasn't the best ... but I was fine with it. On my list of things to replace, it was at the bottom. SO, when we found out we had to replace it from the hard water, I was secretly excited. 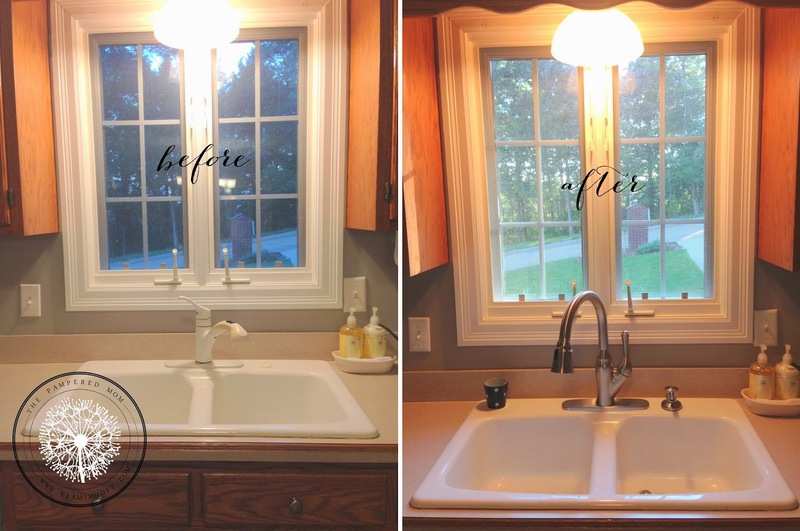 We found a great deal on a Delta stainless steal faucet ... and I am secretly swooning over it. It's beautiful and more functional than the last! I can't complain! I also found a great deal on outdoor exterior lights. I had planned on replacing these, but not right away. When I saw the price was buy one get one free, I jumped on it! I think they really go well with our new black shutters! Little updates here and there ... it's definitely feeling like our home! Adorable! I love it. Those little details do make a big difference, and bargains are the best. We recently had to replace our faucets because of hard water, too.